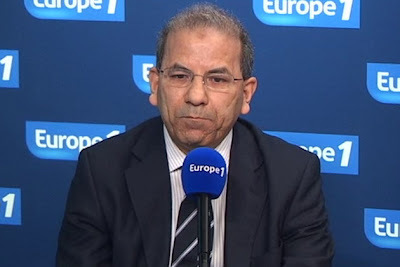 Mohammed Moussaoui, head of the CFCM (French Council of the Muslim Faith) says the debate on Interior Minister Claude Guéant's comments that 'not all civilizations are equal' is closed. Moussaoui says the controversy serves no-one, and they are not interested in feeding it. On Monday the CFCM wrote to Guéant asking him to reassure Muslims that his speech was not referring to Muslim civilisation. Moussaoui wrote that many French Muslims felt targeted by these statements and had turned to the CFCM about it. Guéant answered that he was not speaking about any culture in particular, nor of fellow Muslim citizens who respect and completely adhere to the values of the Republic. Guéant added that he has no doubt that the CFCM shares the same values and the need to denounce, without ambiguity, systems and practices which are contrary to our fundamental principles, which allow each and every one to express themselves and live in freedom, equality and fraternity. In an earlier interview with France Inter Guéant said he was not speaking of any particular culture, but then went on to bring examples of the full veil and street prayers, which he said bothered a lot of French, as well as the French value of secularism. Moussaoui says Guéant assured them he was not talking of any particular culture nor of French Muslims. As for the existence of a cultural hierarchy, the CFCM president says that all civilizations contributed something to the advancement of humanity. It's difficult to to organize them into a hierarchy or rank civilization, each adds it's own special something to humanity.